Uttar Pradesh Madhyamik Shiksha Parishad (UPMSP) or UP Board will released the Class 10 and Class 12 (intermediate) results tomorrow. 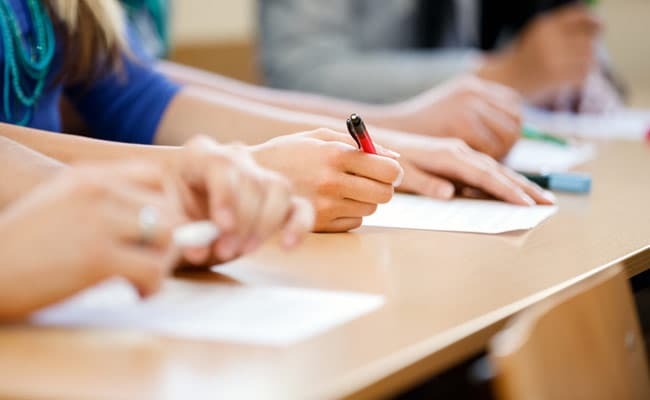 New Delhi: Uttar Pradesh Madhyamik Shiksha Parishad (UPMSP) or UP Board will release the Class 10 and Class 12 (intermediate) results tomorrow. After months long waiting, the students will be able to access their results on June 9 at 12.30 in the official results website of the UP Board. In an update today, the UP Board has confirmed that the results will be released tomorrow after noon. Except Maharashtra, most of the boards across the country have declared the class 10 results 2017. Rajasthan Board declared the class 10 results today. According to an update in results.nic.in, Uttar Pradesh High School (Class 10) Examination - 2017 results will be announced on June 9, 2017 at 12:30 Hrs. The UP Board class 10 results will be declared at the official portals of the UP Board. The results can be found at: results.nic.in, upresults.nic.in and upmsp.edu.in. Apart from the official websites, UP Board class 10 results would also be available on alternate websites like examresults.net which is also an official partner website for hosting the UP 10th and 12th results 2017. The students may access the UP Board High School Class 10 results after entering their exam roll numbers in the space given in the official results declaration sites.